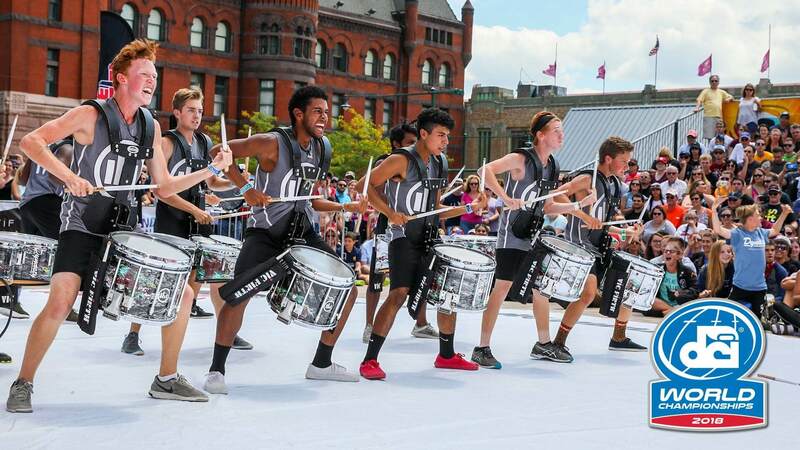 Marching from the Motor City to the Circle City, the Drum Corps International Summer Tour will break new ground in 2018 before returning to Indianapolis for the 10th anniversary of DCI World Championship events in Indianapolis. Spanning 52 days from June into August, the 2018 DCI Tour will showcase more than 75 drum corps and SoundSport teams participating in 108 competitive events in 37 states. The DCI Tour Premiere will kick off the 2018 summer season for the very first time in Detroit. 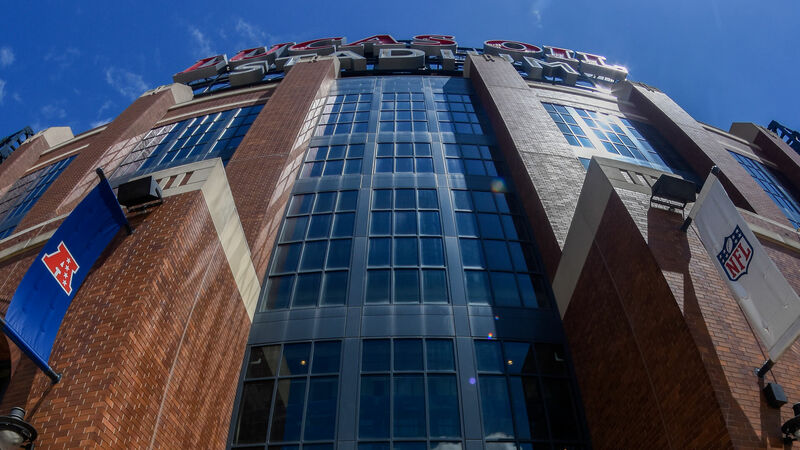 The DCI Tour Premiere presented by DeMoulin Bros. and Co. will find a new home for 2018, bringing a lineup of six of last season’s top-12 corps to Detroit. 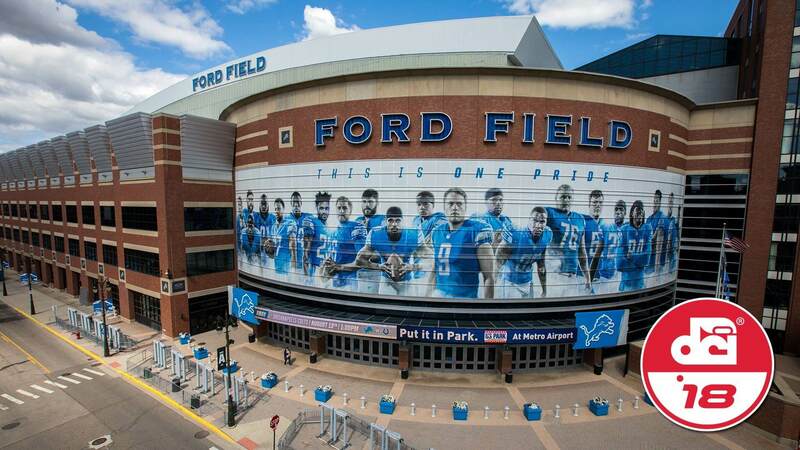 Ford Field, which recently underwent a $100-million renovation, will be the site of the event on Thursday, June 21, that will feature the debut performances of the Blue Stars, Bluecoats, Boston Crusaders, Carolina Crown, Cavaliers and Phantom Regiment. Out west, DCI’s pacific region corps will get their start to the season in California on Friday, June 22 in Clovis and Saturday, June 23 in Stanford. Joining corps including the Blue Devils and Santa Clara Vanguard will be members of The Cadets, who will spend the beginning of their season in the Golden State for the first time since 2011. “It’s been some time since we traveled [west] and we are excited to bring the 85th edition of The Cadets to the ‘other coast,’” Cadets director George Hopkins said. For those unable to catch the kickoff events of 2018 at the stadium, the DCI Tour Premiere is expected to be presented live from Ford Field in Detroit in movie theaters across the country, with the DCI West event in Stanford among the first of 2018 to be shown via live streaming on FloMarching.com. 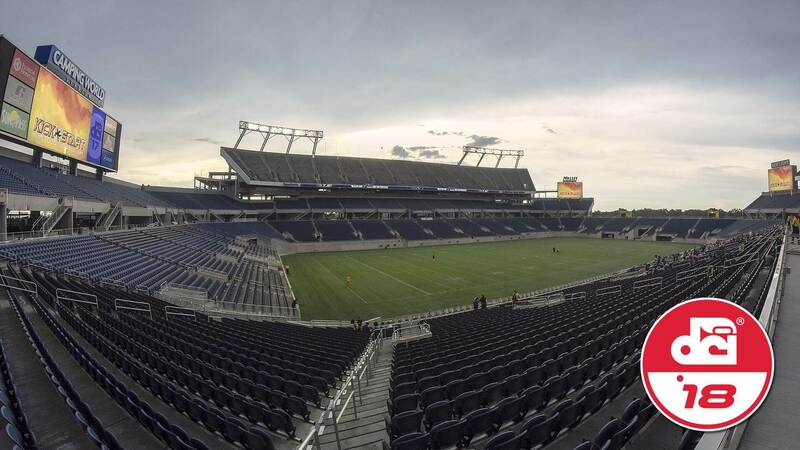 Drum corps will head to Orlando's Camping World Stadium on Sunday, July 8. Several new events and venues will highlight this year’s lineup that will include familiar stops at locations like TCF Bank Stadium in Minneapolis on Saturday, July 7 and Camping World Stadium in Orlando on Sunday, July 8. An expected return to the Bloomington/Normal, Illinois area for the first time since 2010 on Wednesday, July 11, will put corps in a position to get to St. Louis for a brand new event on Sunday, July 15, which is anticipated to be held at The Dome at America’s Center (formerly the Edward Jones Dome). A total of 19 World and Open Class corps are expected to perform as part of the St. Louis lineup in 2018. With a familiar start date on Thursday, July 19 for a tandem of events, Drum Corps International’s annual “Texas Tour” will see a bit of a shakeup in 2018. Half of the corps traveling to Texas will perform on the 19th at a soon-to-be announced location in the central part of the state, with the other half traveling to the familiar C.H. Collins Stadium in Denton. Corps will make another new stop at Legacy Stadium in Katy, Texas on Friday, July 20, as the precursor to the DCI Southwestern Championship at the San Antonio Alamodome on Saturday, July 21. The Alamodome event will feature a lineup of all 24 of DCI’s World Class corps, the first time during the 2018 DCI Tour that they will face each other head-to-head. Finally, Monday, July 23 will mark the final stop for a number of corps as they make their way out of the Lone Star State by way of Mesquite. Kicking off the final weeks of the 2018 DCI Tour, corps will once again head to Vanderbilt University in Nashville on Friday, July 27, before the DCI Tour makes its triumphant return to Atlanta on Saturday, July 28 for the DCI Southeastern Championship. The Atlanta event will be the first that Drum Corps International will host in the brand new $1.6 billion state-of-the-art Mercedes-Benz Stadium. Officially opened late in the summer of 2017, the venue was built in the shadow of the Georgia Dome, which for more than a decade hosted the annual regional championship event. “This new facility is one that we're anticipating will offer our drum corps fans and participants an event-day experience unlike anything they may have had outside of the DCI World Championships in Indianapolis,” Kuehnhold said. 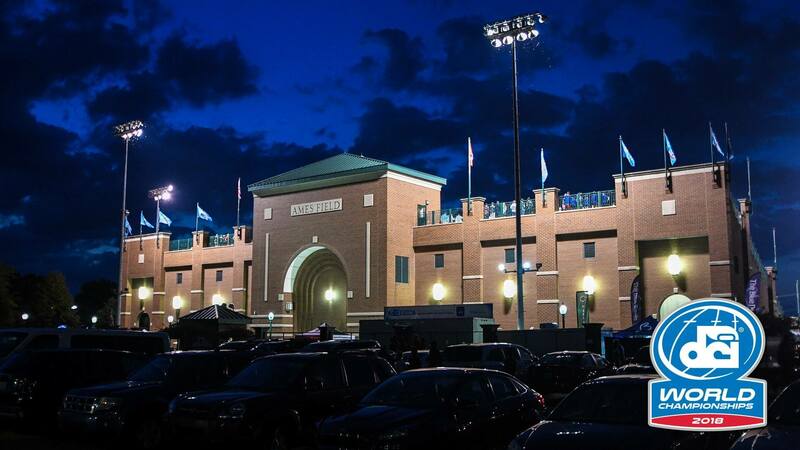 The last weekend of the regular season will showcase DCI’s entire complement of World Class corps at historic J. Birney Crum Stadium in Allentown, Pennsylvania, split over two days of competition on Friday, August 3 and Saturday, August 4. “Many thanks go out to our national network of Tour Event Partners who work tirelessly to give DCI ensembles additional performance opportunities throughout the entire summer season,” Kuehnhold said. 2018 will mark the 10th anniversary of World Championship events at Lucas Oil Stadium in Indianapolis. For more than a decade, Open Class corps have kicked off DCI’s World Championship series of events in Michigan City, Indiana. They will do so once again with Prelims and Finals competitions scheduled for Monday, August 6 and Tuesday, August 7 at Ames Field. Though Nashville’s Music City will not be seen among the Open Class lineup in Michigan City this summer as the corps makes its transition into DCI’s World Class division, Golden Empire from Bakersfield, California is expected to make it’s very first trip to the DCI World Championships. Also unique to the Michigan City lineup will be an appearance by Jubal from the Netherlands. The Dutch corps will spend almost two weeks in the U.S. competing as part of the DCI Tour in the International Class division. 2018 will mark the group’s first trip to North America since 2015. The action heads south to downtown Indianapolis beginning Wednesday, August 8, when the DCI Performers Showcase features individuals and ensembles at the Indiana Convention Center and iconic Indianapolis Artsgarden. 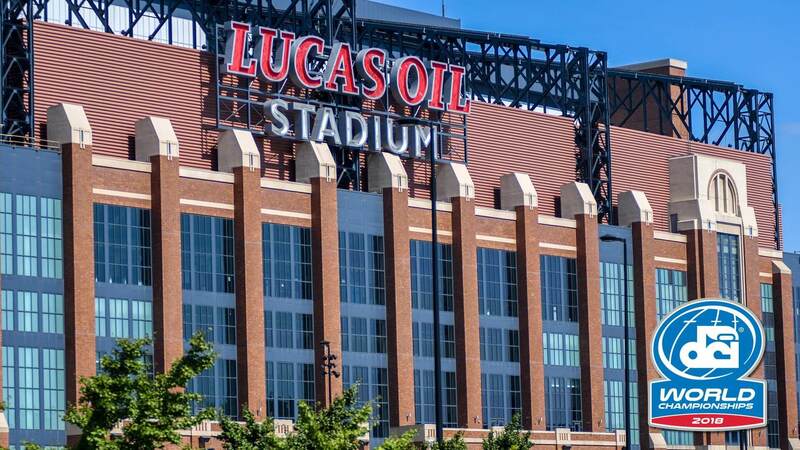 Open and World Class corps will square off when the action moves under the roof of Lucas Oil Stadium for the Prelims competition on Thursday, August 9, as Drum Corps International celebrates the 10-year anniversary of World Championship events at the venue. The top 25 corps will advance to the Semifinals on Friday, August 10, with the top 12 vying for the title of World Champion on Saturday, August 11. The third-annual SoundSport International Music and Food Festival will take place in downtown Indy during World Championships Week. In addition to a series of ongoing events produced around the world throughout the year, this summer's North American SoundSport and Drumline Battle schedule will feature stops in Florida, Texas, Georgia and Pennsylvania, before wrapping up on Saturday, August 11 with the third-annual SoundSport International Music and Food Festival in downtown Indianapolis. Starting Monday, December 4, tickets to more than 35 of the most popular events of the 2018 DCI Tour will go on sale through the DCI Box Office and Ticketmaster, including single-day tickets to the 2018 DCI World Championships. Sign up for Drum Corps International’s "Box Office Alerts" to receive email notification when tickets to 2018 events near you will be going on sale throughout the winter months. View the complete schedule of 2018 Drum Corps International Tour events. 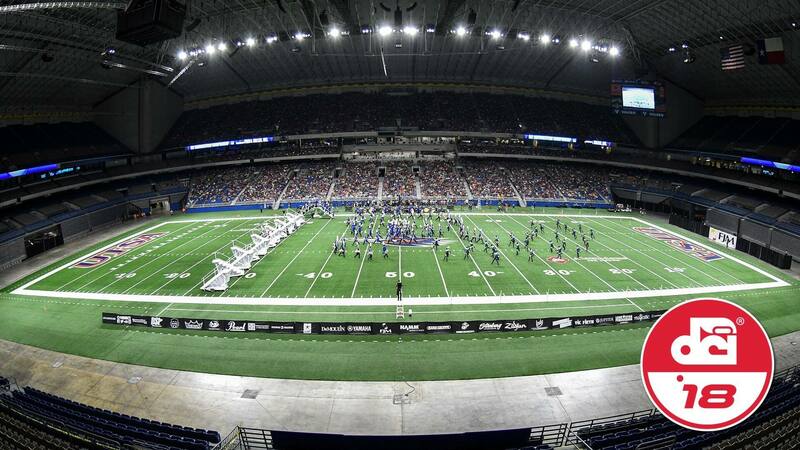 The recently-rennovated Alamodome in San Antonio will see all 24 of DCI's World Class corps perform on July 21. 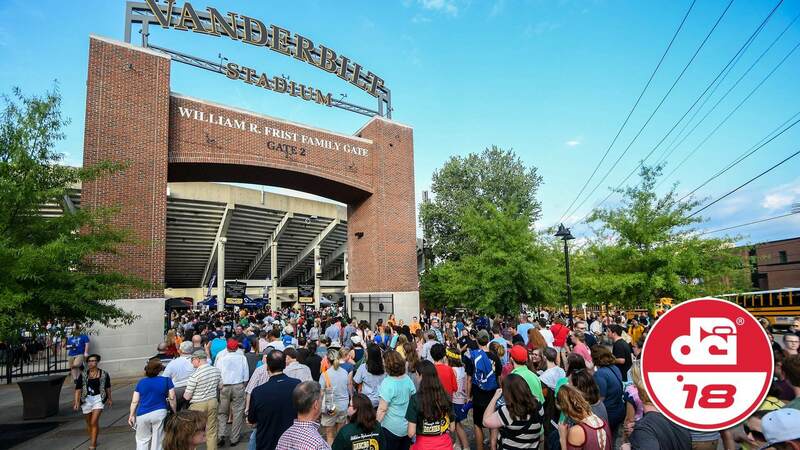 Vanderbilt University Stadium in Nashville will host a Tour of Champions series event on Friday, July 27. Open Class corps will kick off World Championships Week action in Michigan City, Indiana on August 6.